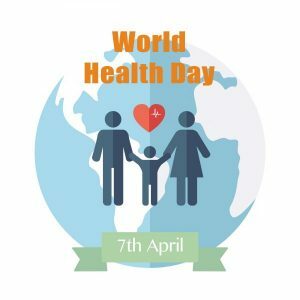 This month, on the 7th of April, World Health Day provides a great opportunity for the people of the world to focus on something that is universal to us all, helping to diminish the differences between us. This commonality is of course our physical health, the greatest wealth a person can possess and that which we desire for the ones we love. As an MD, I often use the metaphor of the ‘golden egg’ of great physical health, referring back to the old tale of the goose that laid the golden eggs. And there are ways in which you can design your life in order to achieve that golden egg of health. You need to nourish your goose with plenty of water, regular exercise, a wholesome diet, and restful sleep. These are the basic requirements but not the whole picture. To really release your potential, your goose also needs powerful psychological fitness, emotional contentment, a sense of purpose and fulfilment, as well as rich healthy relationships. It may seem like a lot of effort to make the goose produce this golden egg but it all begins with awareness, and developing your health IQ (there are many tips on doing this throughout my website), and in the end this golden egg, your physical health; is priceless. It is the greatest gift you can give yourself and makes possible a long, happy, and active life with less decrepitude associated with ageing. Knowledge is a vital component but it is not enough in and of itself. Attitudes need to shift in concert with health education to ensure people don’t make costly mistakes with their wellbeing. It is not unusual for some people to believe that accessing healthcare services is a sign of vulnerability or weakness. Consequently, some people have been known to wait for a serious symptom to persist over time before seeking any medical advice whatsoever. This delay in action can have a wide range of negative implications. This behaviour may be called ‘ostrich syndrome’ as the individual puts their head in the sand and ignores the danger signs. Unfortunately, it is often the case that people who are inclined to behave like this are also less likely to discuss their physical or emotional health with friends or family, and are less inclined to actively take responsibility for their health and wellbeing. This is why I coined the term health IQ. I believed that we needed a phrase that could represent the knowledge that is required to have the ability to make positive choices, build positive habits, and relinquish negative ones. It should become common knowledge that our physical, psychological, emotional, and spiritual wellbeing are all connected. It should become ubiquitous that people automatically become active participants in their wellbeing, as opposed to a passive consumer of healthcare. We must acknowledge that the gift of wellbeing is received through a real commitment to self-care, while also understanding that this doesn’t mean life needs to be any less joyful.